When I first started my wardrobe spending freeze I had no intention of becoming a minimalist. We were making some home improvements, and to save money I decided to stop shopping for clothes. As a stylist who shops for a living, this was akin to being a diabetic in a candy store. Constantly surrounded by the latest and greatest in clothing and accessories, I resisted any temptation to buy for myself. And like any exercise in willpower, the longer you keep it going, the more momentum you gain, and the easier the exercise becomes. As I cruised through a couple seasons on my spending freeze without adding any new items to my wardrobe, I started learning more about a minimalist lifestyle, and the idea of living with less started to appeal to me more. 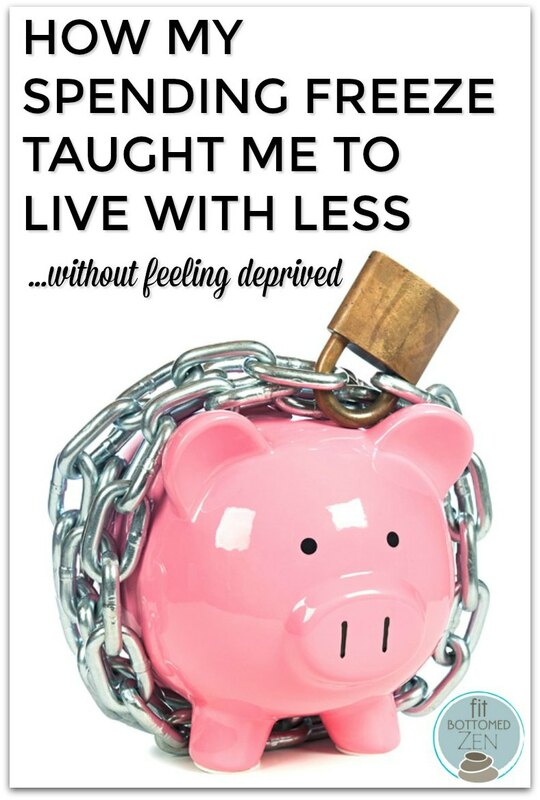 While I’m by no means a minimalist — this spending freeze is temporary — I have acquired new insight into what’s worth buying and how to live with less without feeling deprived. 1. By mixing and matching my wardrobe. With no new clothes coming in, I had to get creative with what I already owned to avoid feeling dissatisfied with my style. I had to dig through my closet to find the pieces I once loved and figure out how to update them to reflect my style today. This meant playing around until I discovered new outfits that made me feel comfortable and happy. 2. By packing less on trips. As the girl who always hit the 49-pound mark at the airport bag drop, simplifying my on-the-go wardrobe was initially a challenge. But as I started bringing less stuff, I saw that I could easily get by on my trip, and still feel good about how I looked. The key was packing my most worn and versatile pieces because those are the things that most easily find their place in a vacation wardrobe rotation. 3. By realizing I have enough. Like many women, I live with a full closet. The habit of updating my wardrobe seasonally is exactly that — habit. On my spending freeze, as one season rolled into the next and I didn’t add anything new to my closet, it became clear that I didn’t need any new clothes. Sure, I like getting new clothes, but I managed perfectly fine with what I already owned. In fact, because I was being more creative with my current wardrobe, I actually started to feel like I had more clothes than before. And this feeling of having enough helped me appreciate everything else in my life.